It has stationary field poles and revolving armature. It is usually of small kVA capacity and low voltage rating. It resembles a DC generator in general appearance except that it has slip rings instead of a commutator. 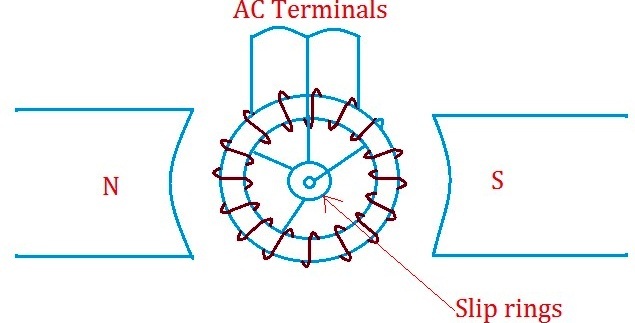 It has a stationary armature or stator inside of which the field poles rotate. 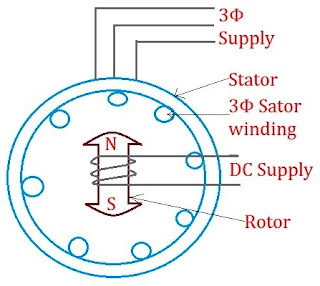 Most alternators are of the revolving field type in which the revolving field structure or rotor has slip rings and brushes to supply the excitation current from an outside D.C. source. Usually the field voltage is between 100 and 250 volts and the amount of power delivered to the field circuit is relatively small. 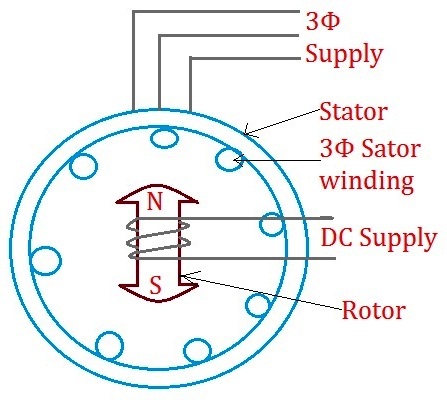 The alternator works on the principle of Faraday's Law of electromagnetic induction, i.e., when rotor is rotated by prime mover, the stator winding or conductors are cut by the magnetic flux of the rotor magnetic poles. 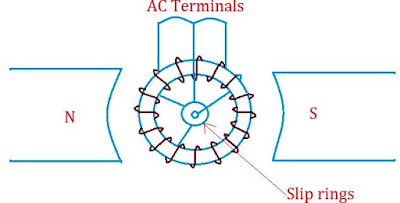 Hence an emf is induced in the stator conductors. 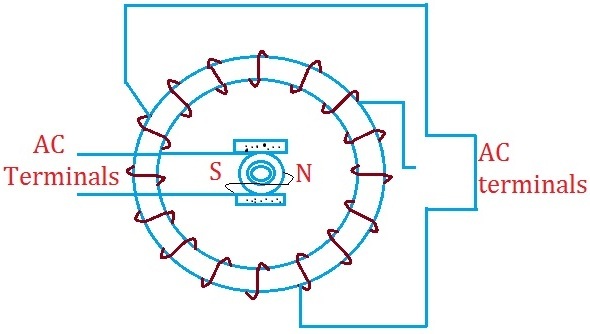 The emf generated in the stator conductors is taken out from three leads connected to the stator winding as shown in figure. 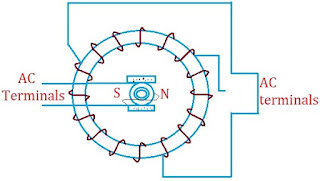 What make and model stand by or portable by generator is brushless and uses slip ringsin the armature ?